FYI, I have cut back on social media usage. 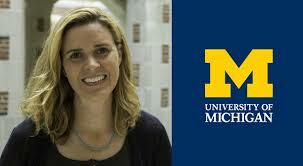 I am a Lecturer IV in the School of Information at the University of Michigan. I focus on the introductory programming courses such as Data-Oriented Programming (SI 206) and the Web Design Courses (SI 339 and SI 539). My previous jobs include Associate Professor at California State University and positions at NASA JPL, the Naval Research Lab, and the NSA. I received my BS from Kent State University Honors College in Computer Science, and an MS and PhD from the University of Pittsburgh, also in Computer Science. My thesis was on Artificial Intelligence applications on the Nursebot Project, a robotic assistant for the elderly. My honors include being chosen as a National Physical Sciences Consortium Fellow and a NASA Faculty Fellow. I have always emphasized the idea of technology for everybody. To that I have worked to create courses for education majors to learn robotics, as well other CS curriculum for non-majors. Her current focus is outreach with elementary and middle school students to learn problem-solving, coding, and design. I have published three recent books for children, "Web Design with HTML" and more "Web Design with HTML" and "Making a Web Page" (co-authored with my son). I try to keep my office hours as consistent as possible, but there are times I need to reschedule. Please check my Google Calendar for the most up-to-date times and locations. I also hold one-on-one office hours by appointment on most Mondays of the semester. You must make the appointment at least 24 hours in advance and let me know what we will be discussing. Appointsments are made online with my Google Calendar. My motivation for creating this course content was to spread the mission of free education to everyone. Unfortunately, many of the platform changes has put the material behind paywells. I highly encourage students to take the courses individually (rather than as a specialization) to access them for free. Even then, some of the assignments may be hidden. I am hoping to launch a new more open version in Fall 2018. Because there are so many students it is absolutely impossible for me to answer email or become Facebook friends with students. Coursera has set up the platform that students can get help through the forums. I realize that you may not get help the first or second time you post for assistance, but it will come!! Please make sure to help your fellow students at the same time as well. Those of us in academia have ridiculously long CVs. I have included an abridged version here.